We are so very anxious to kick-off even more events here at Blue Pear Farm and Gardens. We are really looking forward to time spent with friends and family in the barn! 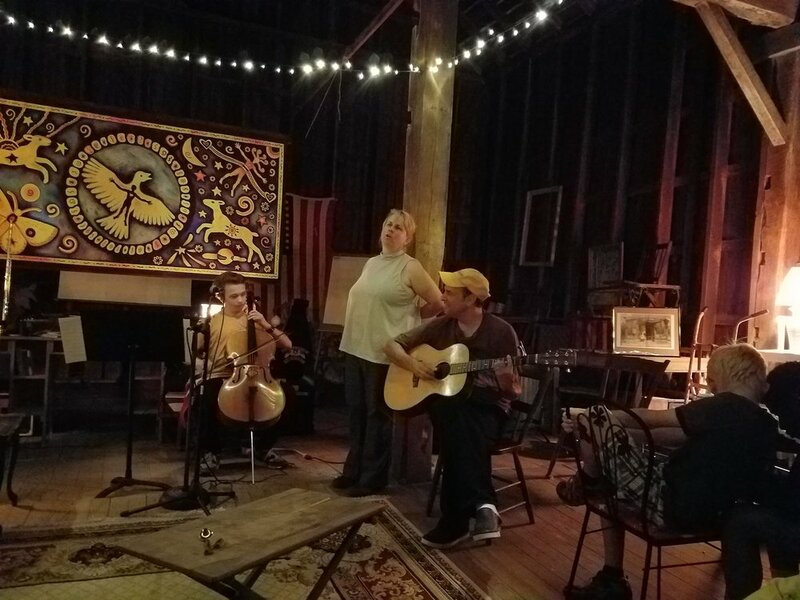 Our barn is not just a structure; it is a magical place for community members to gather. 100 years ago, our ancestors gathered on the thrashing floor to harvest the wheat and here we are today standing on the same floor.... for different reasons but together as a community! It is a place where we meet in good fellowship with our neighbors and travelers! We view this barn as a cornerstone in Geauga County's history and in Northeast Ohio's history. It is a shared view among the locals and guests over the years that this barn symbolizes a way of life that is simple and good; still relevant today! This season we are going to gather on the thrashing floor to sing, dance and experience community life! We hope to create spontaneity and enchantment with our Blue Pear Affairs! If you have not yet experienced a Blue Pear Affair in the Barn; go ahead and click on our event page for upcoming dates! Three outstanding events: Woodstock 50th Anniversary. A Night of Leonard Cohen, and Blues in the Barn. Don't Forget to check out our event page for details and to reserve your place in the experience! Blues in the Barn 2016. A gathering of poets and musicians who sing the blues!